Hello! 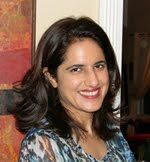 My name is Mojdeh and I am a Certified Holistic Nutrition and Wellness Coach Reiki Master & Essential Oil Educator. In my practice I support & empower clients to tap into their own inner wisdom—mind-body-spirit-emotions—to establish a foundation for health and thrive in their daily lives. I am committed to transformation, well-being, and peace within. Like many, I have had my share of setbacks and health challenges, which have resulted in great empathy and compassion for others, and a desire to help and guide those who seek. Whether in a group, one on one, in person, or online, I create a safe space that enables women & girls (and men) to take charge of their health and address eating for health, fatigue, anxiety, depression, cravings, trauma, digestive challenges, blood sugar challenges, candida overgrowth, stress, and weight management – so they can live vibrant and happy lives … and Shine from Within!